After I did my browsing, I had to decide what route I was going to go with my gift. 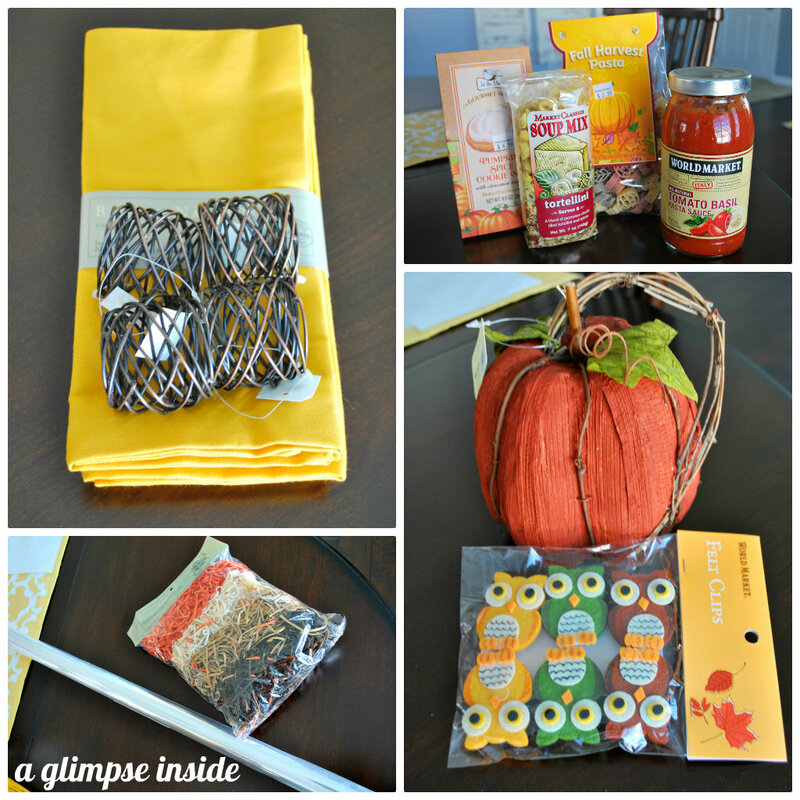 My store was finishing up putting out their Autumn/Halloween items and I thought that an Autumn hostess gift would be the perfect way to go. I bought these napkins in a pretty golden color and these fun napkin rings that reminded me of grapevine. I hit up the food section and got some fun Fall Harvest Pasta, Tomato Basil Sauce, some Tortellini soup for a chilly fall night, and some yummy pumpkin spice cookie mix for a little dessert treat. I had to buy this pumpkin decor item if I was going for the Autumn theme and then I spotted these cute little Owl Felt Clips and thought they would make a fun addition. Grabbed a bag of paper filler and some clear wrapping paper and I was set to decide what to place all this in. Instead of using a basket for my gift, I hit up the dining section and snagged these two great white serving bowls. Everyone can use some basic white serving pieces and I thought that these would make a lovely addition to anyone's collection plus they could be used to serve the pasta and perhaps a salad. I placed the smaller bowl inside the larger bowl and filled both bowls with the paper filler. 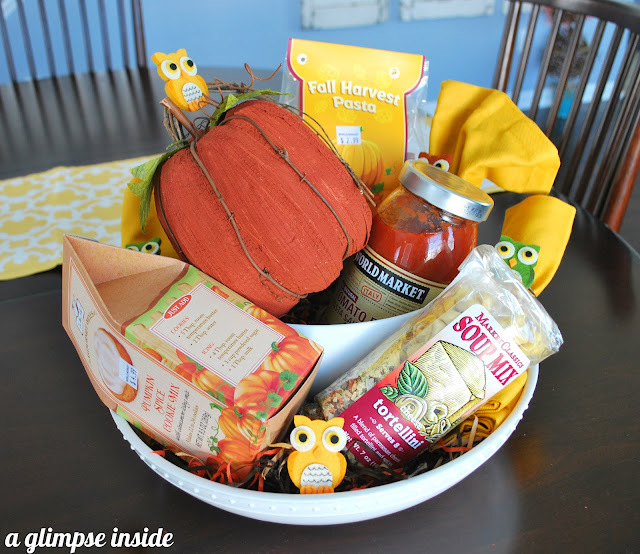 I then put the Harvest Pasta and sauce in the small bowl with the decorative pumpkin. I also placed two napkins with the napkin rings around them in there as well. In the larger bowl, I placed the cookie mix, the soup and two other napkins and rings. I still had the little owls to include so I placed an owl on each of the napkin rings, one on the pumpkin, and I attached the last one onto the paper filler. I wrapped it in the clear wrapping paper and tied it with an orange and black damask ribbon. 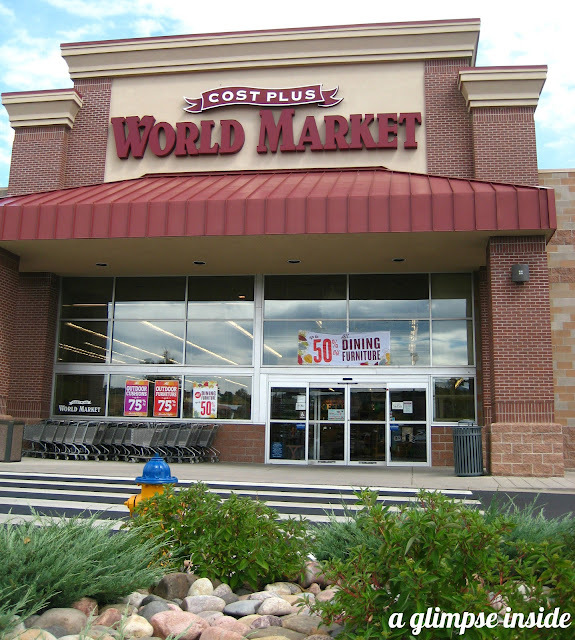 World Market is currently running their Gourmet Getaway Sweepstakes and it is so easy to enter! All you have to do is visit their Facebook page. 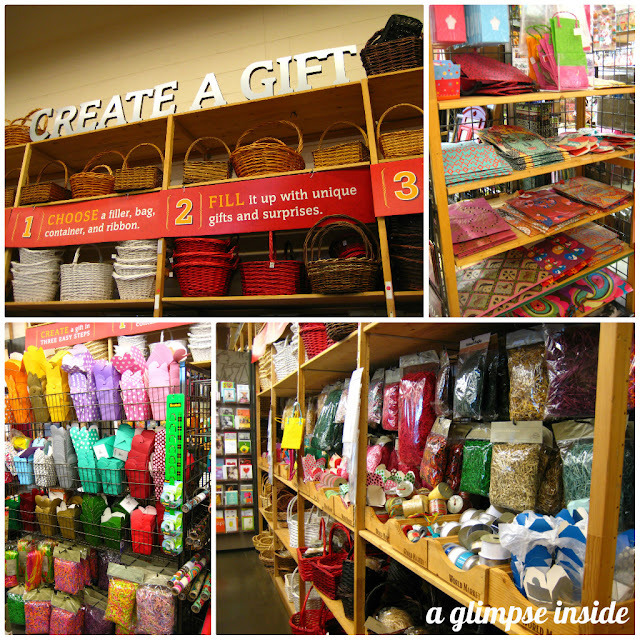 There will also be 3 runner up prize winners that will each receive a $500 World Market gift card! 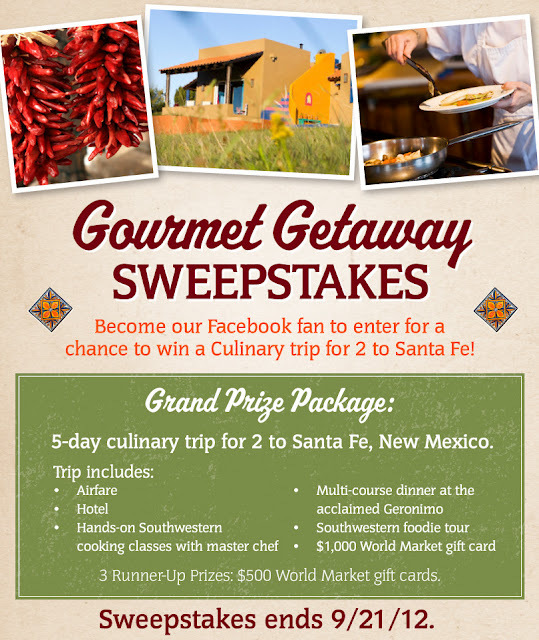 The Gourmet Getaway Sweepstakes runs from August 18, 2012 until September 21, 2012. If you share the sweepstakes with 5 of your friends (via FB share or email) you can receive 5 additional bonus entries. This is part of the registration process when entering. Users can also enter daily for more chances to win. “This blog is part of a social shopper marketing insight campaign with Pollinate Media Group™, but all my opinions are 100% my own." 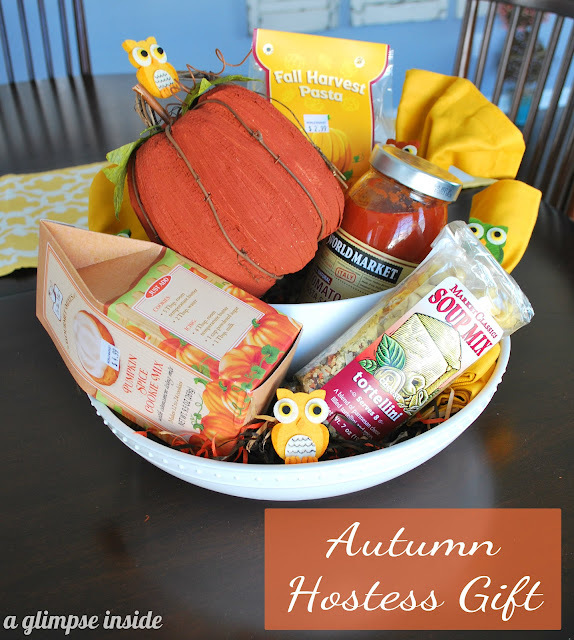 Love the serving bowls as the base of this hostess gift...great idea! I always get so caught up in all the amazing items at World Market...the perfect place to put together a hostess gift! 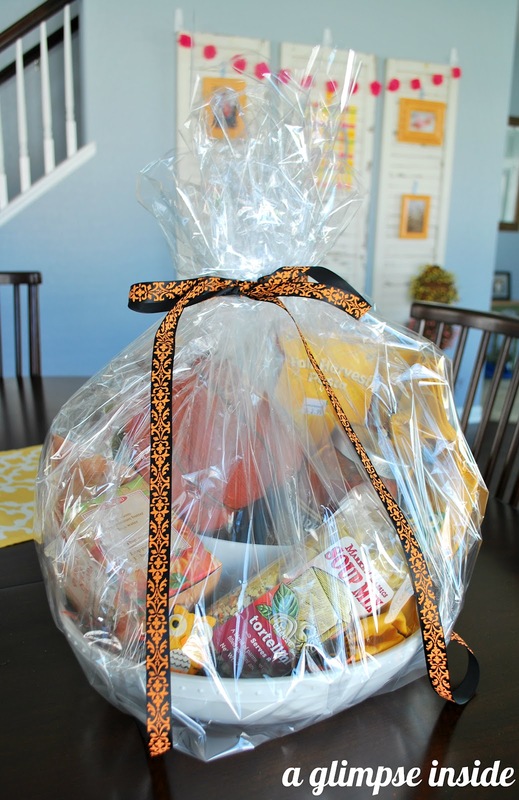 I love that you used serving bowls for your hostess gift "basket" Such a cute idea!!! What a great idea, Allison! I love the tiering of the bowls! That hostess is going to love her gift from you!! The hostess who gets this gift is a lucky lady! I love the idea for tiering the bowls!! You're awesome and so creative! what a fun gift collection! love the bowl idea as the basket! i would love to receive this!! I love it!!! 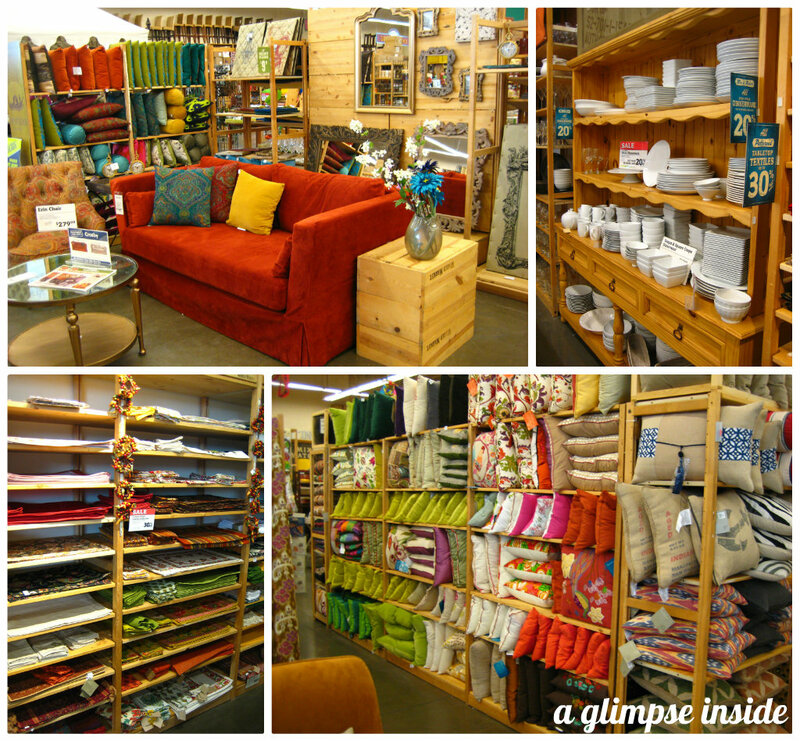 I know how hard it was to choose from all the amazing items in the store. I think you put together a gift that anyone would LOVE! This is so cute Allison - I love the little owls!! Who wouldn't love to receive a gift like this? Love it! :) Cute cute pumpkin.